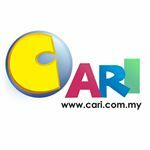 [Bahasa] [QUIZ] Can You Steal Over $1 Billion From This Art Museum? You Stole: $1,190,900,000 worth of art! YOU DID IT. You successfully stole over a billion dollars from this museum. 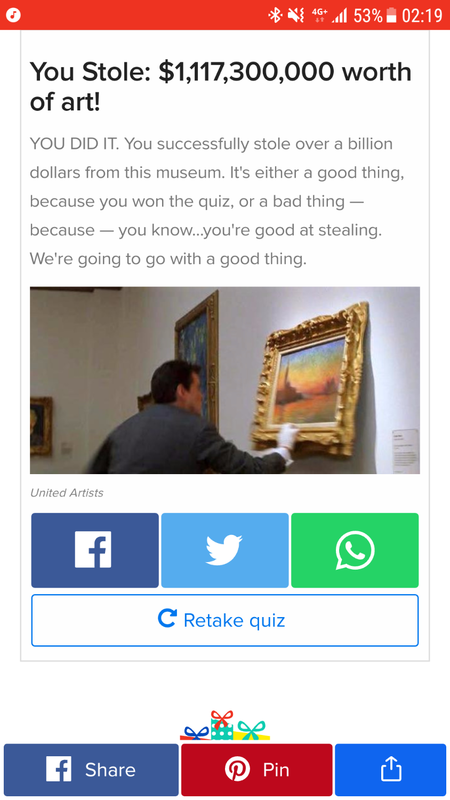 It's either a good thing, because you won the quiz, or a bad thing — because — you know...you're good at stealing. We're going to go with a good thing. You Stole: $932,980,000 worth of art! You really, really tried. You're so close to that billion, you can almost taste it. Try again, you sneaky little bandit. You Stole: $1,801,000,000 worth of art! You Stole: $1,182,300,000 worth of art! You Stole: $1,192,500,000 worth of art! You Stole: $1,049,100,000 worth of art! [size=1.4em]You Stole: $1,008,600,000 worth of art! [size=0.9em]YOU DID IT. You successfully stole over a billion dollars from this museum. It's either a good thing because you won the quiz, or a bad thing — because — you know...you're good at stealing. We're going to go with a good thing. You Stole: $1,119,100,000 worth of art!